Got windshield cracks or chips? Are you worried that an innocent rock chip will turn into a web of cracks? Windshield cracks and chips can greatly impair driving visibility and pose a safety hazard. Auto technicians at Jiffy Auto Glass can repair windshield cracks and chips in no time, restoring structural integrity to the windshield itself and to the vehicle as a whole. Contact our technicians today to repair your windshield as soon as you notice the damage. 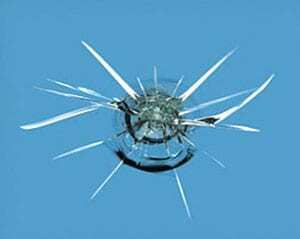 After all, repairing a few small cracks is less expensive than replacing a whole windshield. Most insurance providers will waive your deductible, so in many cases, crack and chip repair may be free of charge to you, meaning there is NO COST TO YOU to get that chip repaired! If you live in Denver, Fort Collins, Colorado Springs, Cheyenne, Wyoming, Phoenix, Arizona, or any surrounding cities, let the Jiffy Auto Glass certified technicians diagnose your windshield chips to determine if they can be repaired first or if the windshield needs to be replaced. In the Denver area, give us a call at 303-876-0999. Contact Jiffy Auto Glass Colorado or Jiffy Auto Glass Arizona, and we’ll fix those unsightly breaks in your windshield swiftly and at an affordable cost. Harsh weather conditions and uneven roads can worsen minor windshield chips and cracks. Don’t let a damaged windshield prevent you from driving safely. With Jiffy Auto Glass’s mobile windshield repair service, we can come to your location whenever you spot a damage. Schedule an appointment with us, and we can send a mobile auto glass technician to your home, work or any other location that is convenient for you. Jiffy’s mobile service technicians are guaranteed to be friendly, fast and professional when it comes to repairing your windshield. 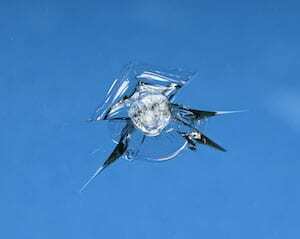 Normal repairable rock chips can vary from being the size of a dime to the size of a quarter. As long as the cracks haven’t spread all the way across your windshield, our technicians can repair the damage within 30 minutes. Jiffy will have you back out on the road in no time.